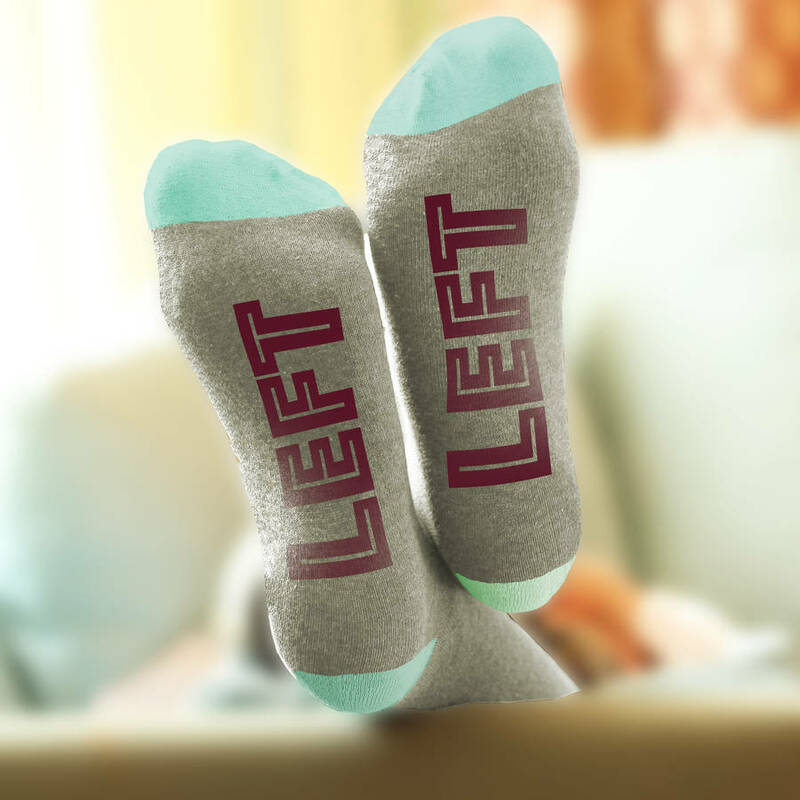 Personalised Socks from the funny Feet-Up Socks range. 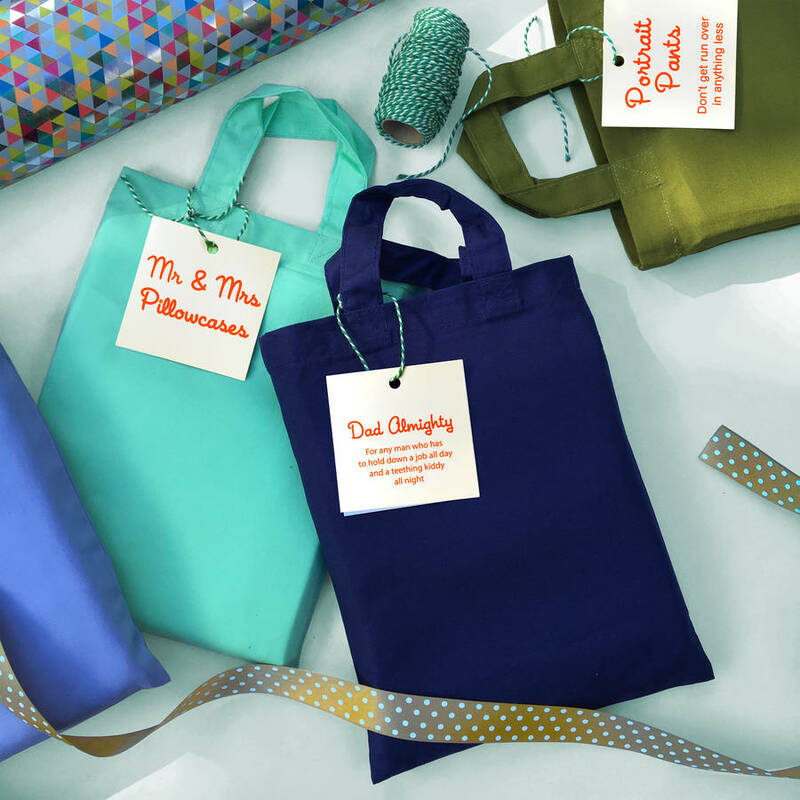 An unusual gift for a birthday, an anniversary or a job well done. 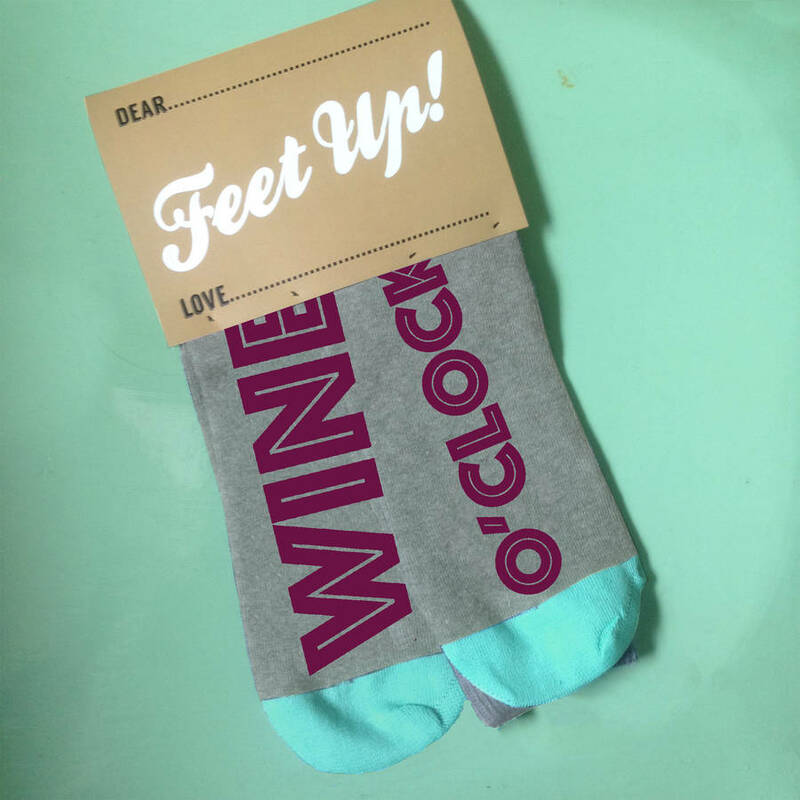 A great little gift to encourage down time. 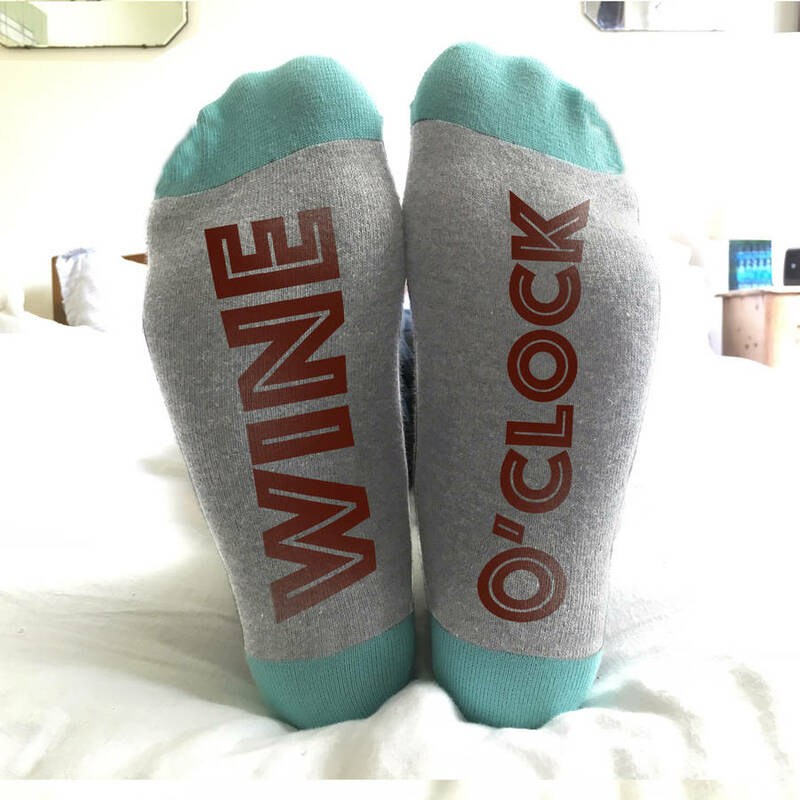 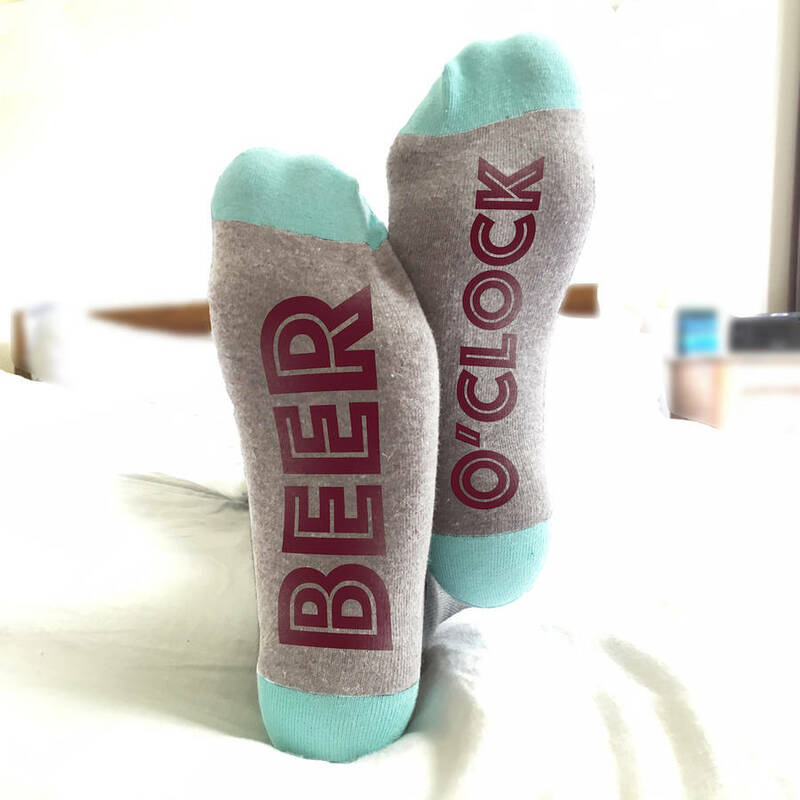 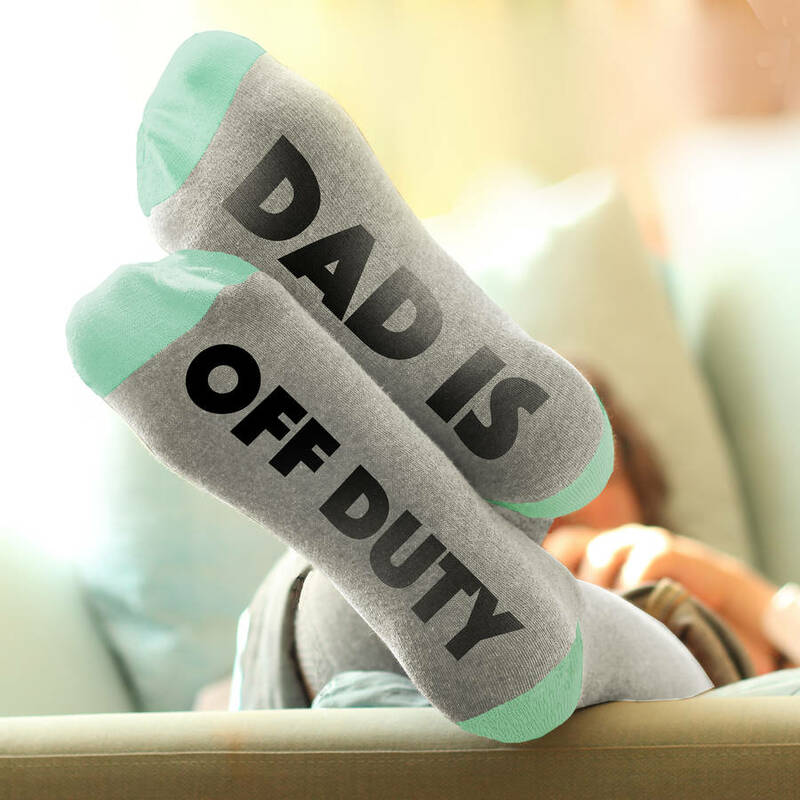 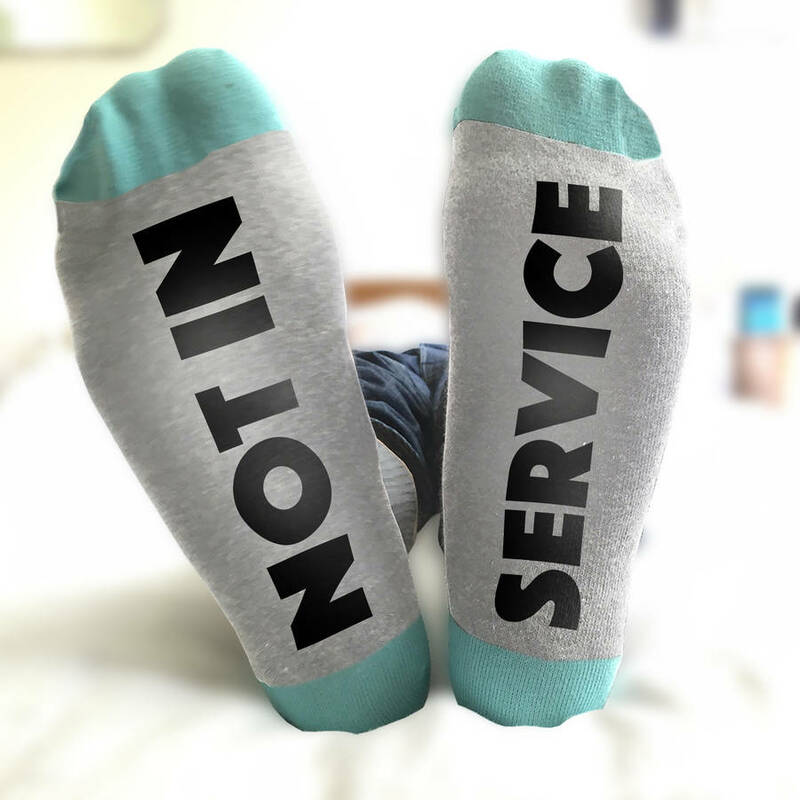 These Feet Up socks are great fun and there is a range of messages to choose from. 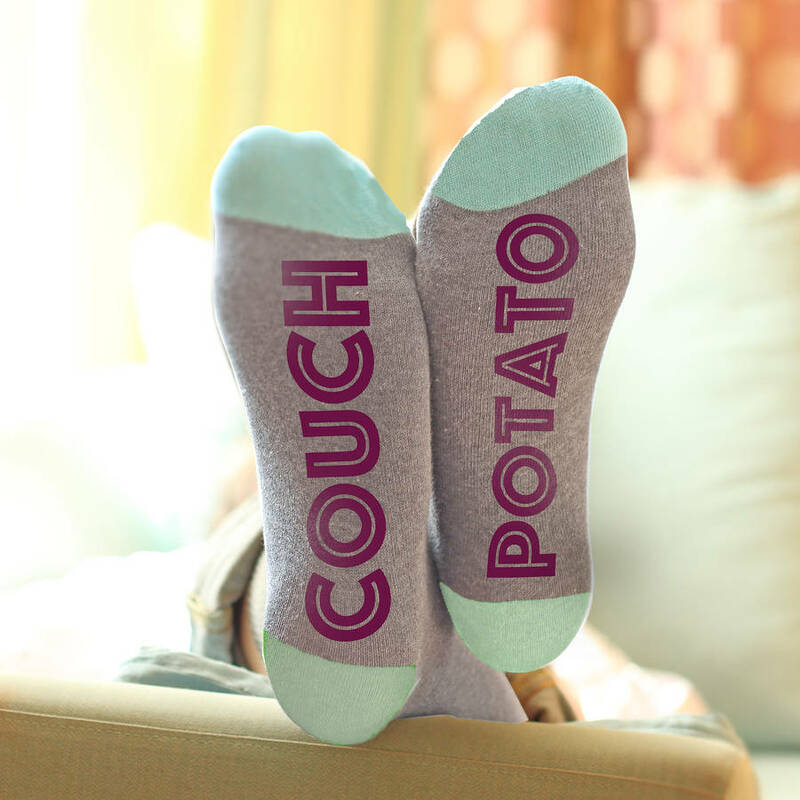 The type on the socks is a deep aubergine for pre printed ones or black for personalised ones.